Two months ago (to the day), I posted about our plans to buy a single family home later this year after several years of living in a townhouse. (Technically the post was about how bohemian minimalist spaces inspire me, but I talked about future moving plans as well.) We got approved for a loan, found a realtor, and got the ball rolling shortly after that, but between Robbie's summer tour schedule, my own travels, and a serious illness with a family member, things got pushed back and we just started looking again a couple of weeks ago. A small part of me is excited, but truthfully, the whole process stresses me out in a big way. I mentioned (okay, complained) before about not looking forward to dealing with numbers and packing/moving, but I've accumulated a whole new set of (probably irrational) worries since then. I feel pressure to find something before the baby is born, which is less than four months now, and it feels pretty unrealistic. We also don't have a huge budget (at all), and we really want to stay in the area of the Chicago 'burbs where we are now (great schools, close to family, lots of things to do, easy access to the city via train), but this area is not cheap - at least not by our standards. I am all about DIY renovations, which will be necessary with our budget, but between my situation (working from home with soon-to-be two kids) and my husband's work schedule (they will be on the road almost nonstop the first four months after the baby is born), anything major isn't going to be a possibility anytime soon. Poor me, I know. I'm buying a house and it's going to be hard, waaah waaah. I will admit that there has been more than enough internal whining and looking at the glass half empty from me over here - but just because I am honestly a little scared. It genuinely just feels like a lot for us with our finances, schedules, and new baby on the way. I've accepted my fears though, and I'm working hard on having a positive attitude about this. I feel grateful that we are able to have a home of our own at all, even if it ends up being a shack. And I (obviously) love design with all of my heart, so focusing on getting inspired to create a home we love, even if it starts out a big old mess, makes me super pumped. 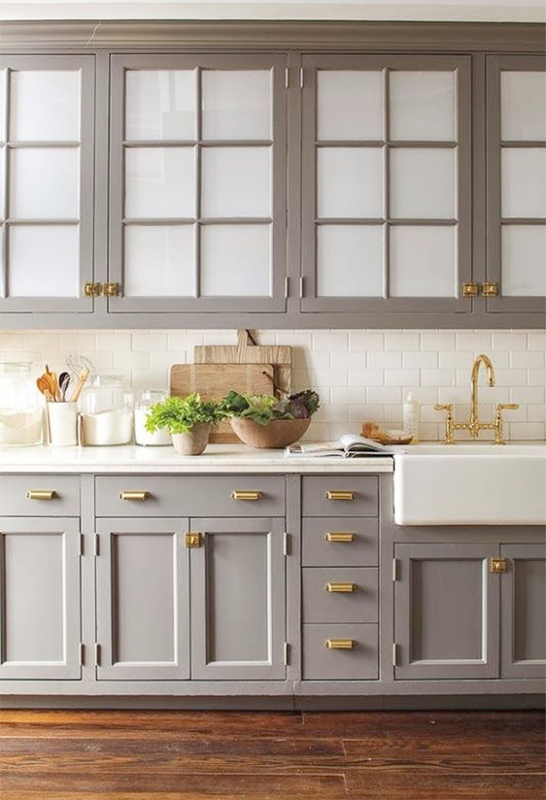 And that leads me to the point of this post (finally): kitchens I'm loving right now. 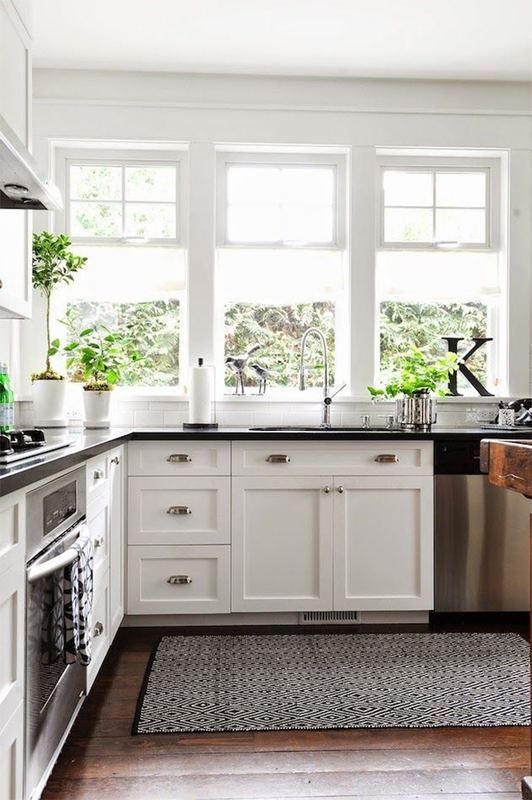 I've found that the majority of homes in our price range have pretty outdated kitchens, so I know that it will likely be a room that will need a lot of work. This actually motivates me, because I've found so many gorgeous kitchens online lately that get me excited to create something beautiful in our new space. 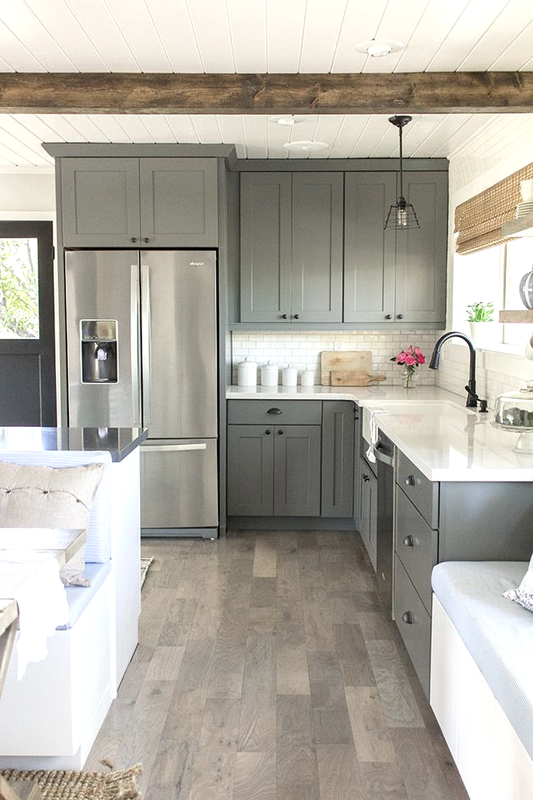 I'm huge on white kitchens, but my mom recently pointed out to me how great gray cabinets look, so that's become my new kitchen obsession. 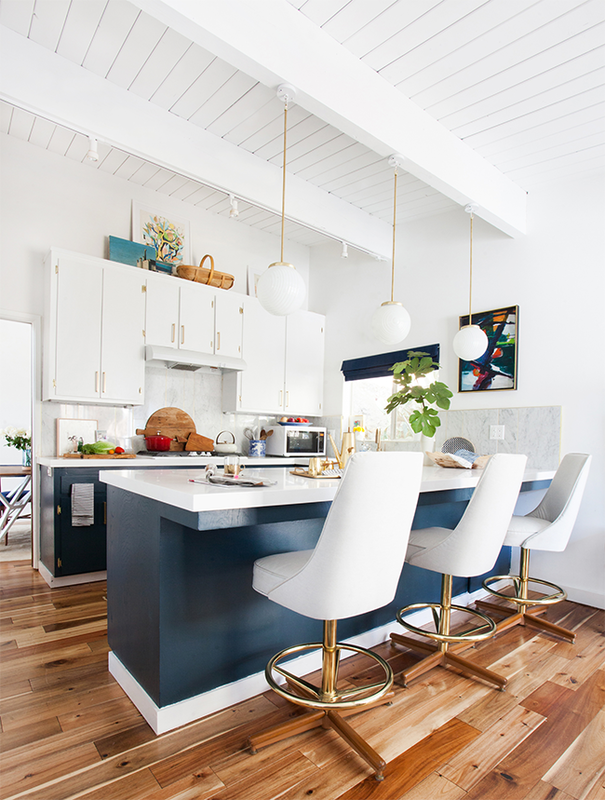 Even though I'm not a big fan of cooking (aka I'm awful at it), I feel like the kitchen is so important to the home as a whole, and I want to create something clean and bright, like in the images shown above. I love a crisp modern look with a few rustic touches. 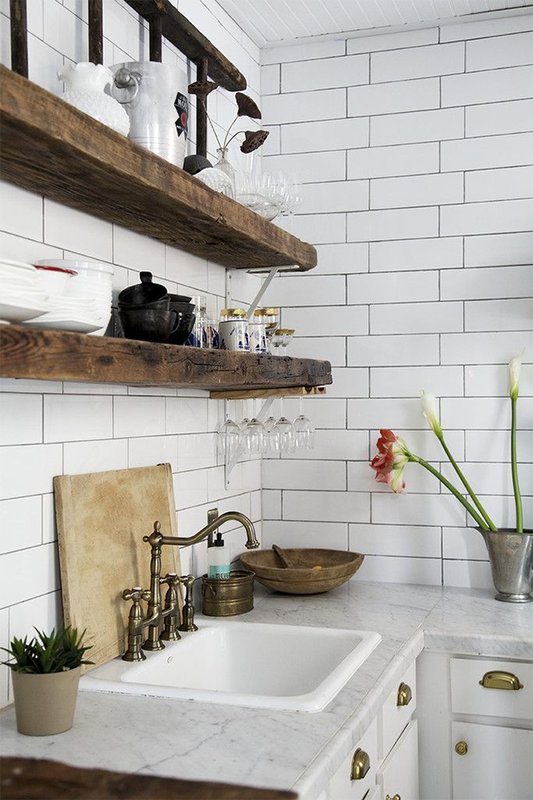 And I know it's super trendy right now, but give me allllll the white subway tile please. 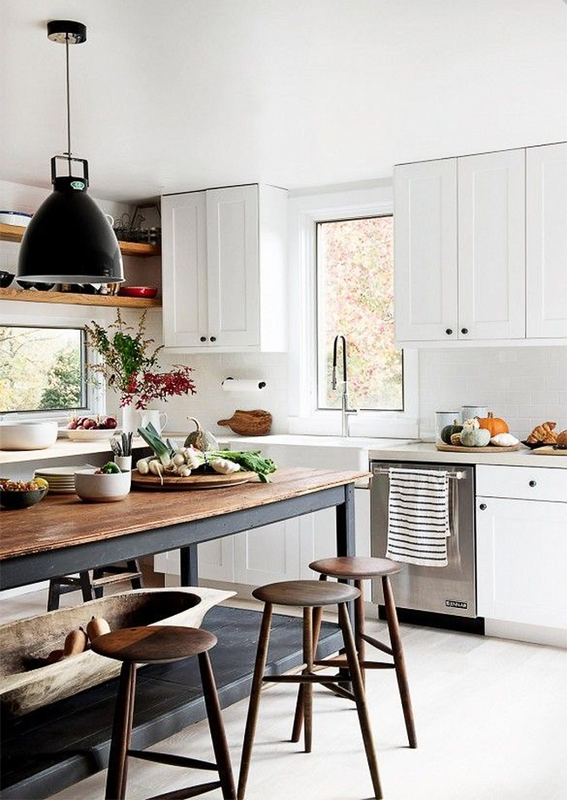 I adore bohemian style kitchens too - as long as they're done right, without a lot of excess clutter. Really, I'd take any of the kitchens I've shared here in a heartbeat. I know I asked this before, but are any of you moving soon, or have you bought a home recently? Any tips? 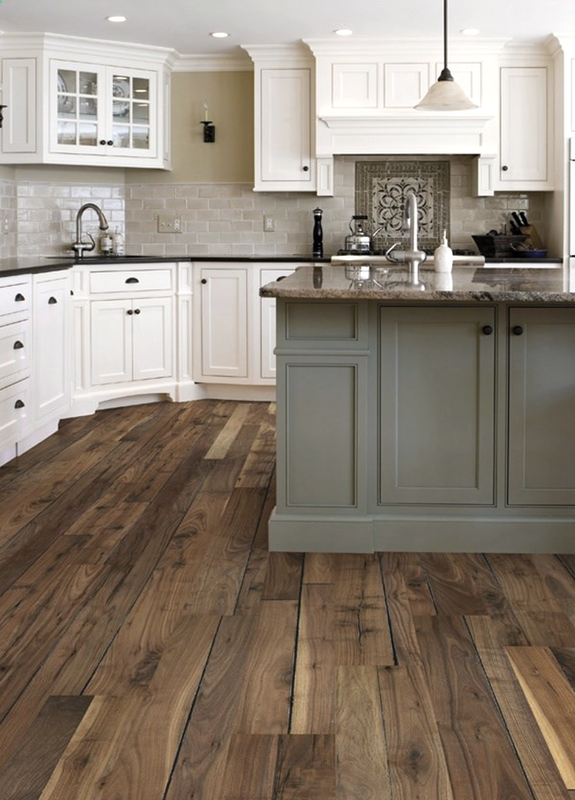 What styles of kitchens do you like best? P.S. Since I have a feeling that home buying is going to consume a major portion of my brain for the near (and possibly beyond that) future, I decided to make these posts a series of sorts. I'm calling it 'Moving Inspiration,' simply because I can't think of a more clever name at the moment. 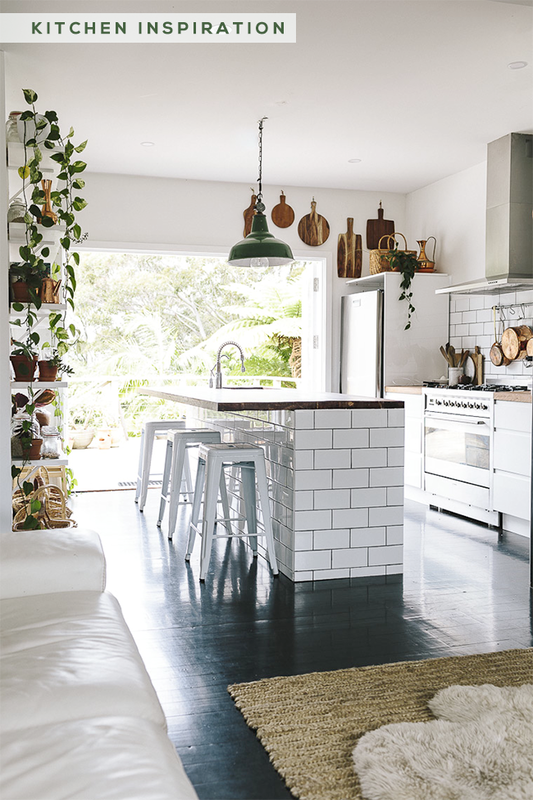 You can also always view photos of homes that inspire me over on my trusty Home Board on good ol' Pinterest. Congrats on getting the loan! Buying a house is a big deal, so it's okay to get a little anxious about it :) I hope you find something in the area, as it's so great to have family near! We bought our house five years ago, and we're still changing things slowly. I think that's the nature of the beast. It's a slow process. For example, we finally just swapped out bathroom fixtures and vanity lights, changed cabinet hardware, and put in a new kitchen backsplash-- things that were the first things we said we would do when we moved. It can definitely feel scary at the beginning, but I promise it's not really and it's quite rewarding too in the end! For us, it was all about looking at the houses we went to see as blank slates rather than an already finished product. It's exciting to think of the possibilities that way! I hope you guys are able to find something that works for you and that you're able to make your own! 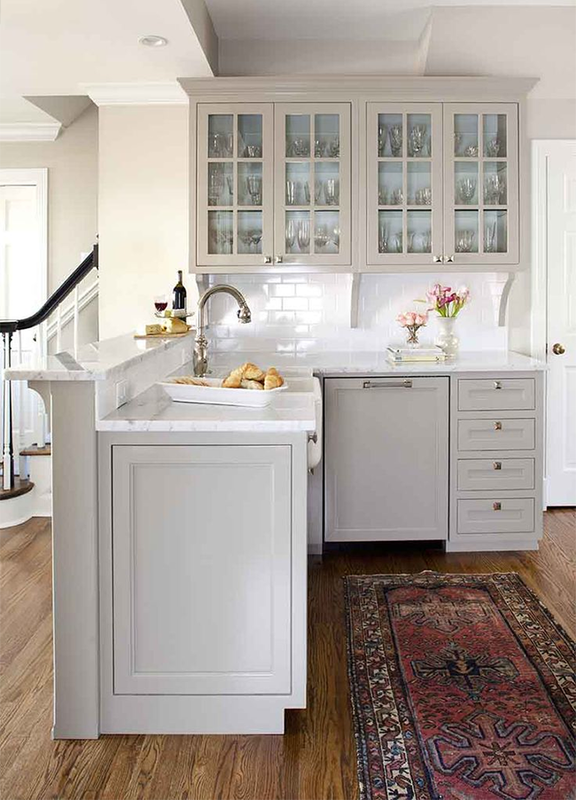 These kitchens are all so gorgeous! Pinning! 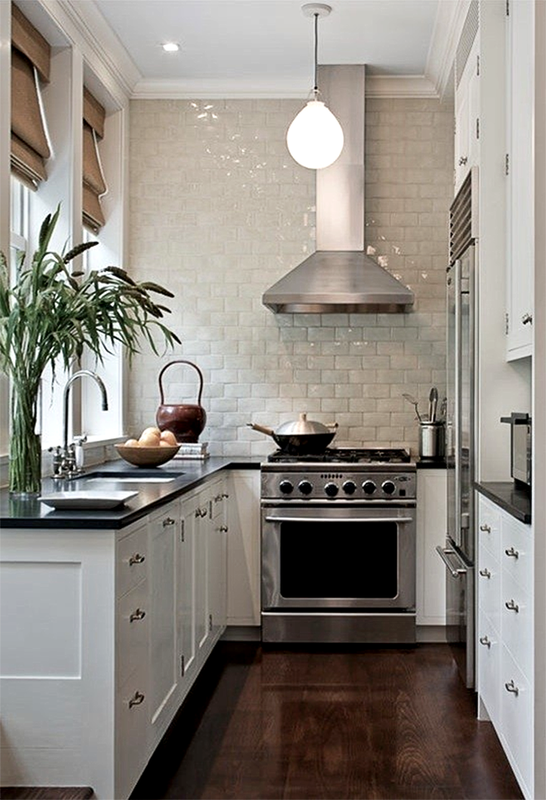 I love the first kitchen, and I am curious about the house you will buy and how you will style it. My kitchen is in need of an update! We were in the same boat. Everything in our price range was either super outdated (though structurally fine) or it was a teardown that was really being sold for the location. We landed on super outdated and like Mary said above, changing everything will take a while, so make sure nothing drives you totally insane in case you can't fix it immediately. I also recommend a heavy dose of DIY. I do it because I enjoy it, but it's also saved us thousands of dollars by dealing with the ugly kitchen and bathrooms ourselves. You'll find something! Also note that I literally have 80% of those kitchens pinned, too. Haha.